If you had asked Paula Sullivan several years ago to join you on a Mud Run, she would have politely declined. She never imagined that one day she would complete 4 of these grueling races with a passion to keep doing more. Paula credits part of this willingness to take on new challenges and embrace opportunities to her career at Citizens Bank. Paula began her career as a branch teller in 1999. At the time, she had two young children and the opportunity to work part time at a branch just down the street from her home was the perfect balance to home and work life. She was presented a new opportunity a few years later as a Call Center specialist. “I loved how the Call Center was fast paced, full of energy with lots of activity so I decided to go for it and take the job”, she comments. 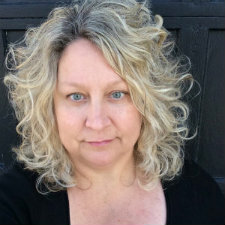 Paula continued to work in her teller role while she trained for three to four weeks at night for the Call Center role. She remembers feeling well supported in a team environment as she completed classroom style training followed by a “nesting phase”, which included taking live calls but with experienced colleagues on hand to assist. She transitioned to her Call Center role, working at night and eventually to day time shifts as her children entered school. 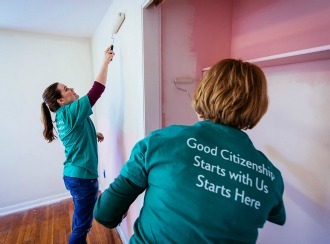 Job flexibility and opportunities to grow into new positions are just some of the great benefits Citizens offers its colleagues. Paula experienced this firsthand when a supervisor approached her about a new position. “My supervisor thought I would be really good at working with new hires in the training phase. With her encouragement and despite my hesitation, I took on the role and loved it”, remembers Paula. Her supervisor was able to see special qualities and potential within Paula. Today, Paula continues to oversee the nesting phase for new hires. 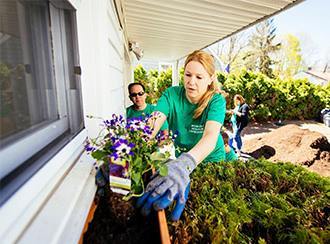 She has been able to develop new skills and a fulfilling career alongside raising her family. Paula still holds a passion for customer service adding, “If you enjoy investigating issues, owning your work, following through with results and adapting with an ever changing bank, you will find so many opportunities to excel at our Call Center”. 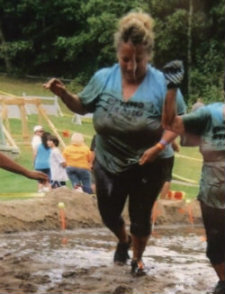 Paula hopes her fifth Mud Run will include her 18-year-old son (her daughter is now 24) and even some of her fellow Citizens colleagues. “I want them to experience that same empowerment I feel when I cross that finish line and know I’ve just done something I had once thought was impossible”. Want to share the same passion for your work with opportunities to grow? Learn more about our Call Center careers. 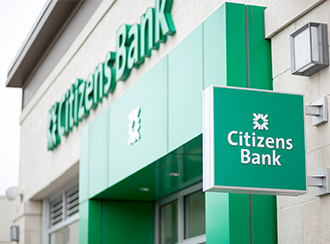 © 2016 Citizens Financial Group, Inc.